This lectin screening kit is designed to provide the investigator with a panel of seven fluorescein labeled lectin conjugates. The lectins have been selected to offer a variety of sugar specificities and are of the same high quality as the reagents offered individually. These lectins are supplied essentially free of unconjugated fluorochrome and inactive lectin. Fluorescein labeled lectin has an excitation maximum at 495 nm and an emission maximum at 515 nm. Our lectin screening kits are designed to provide the investigator with a panel of seven lectins or lectin conjugates. 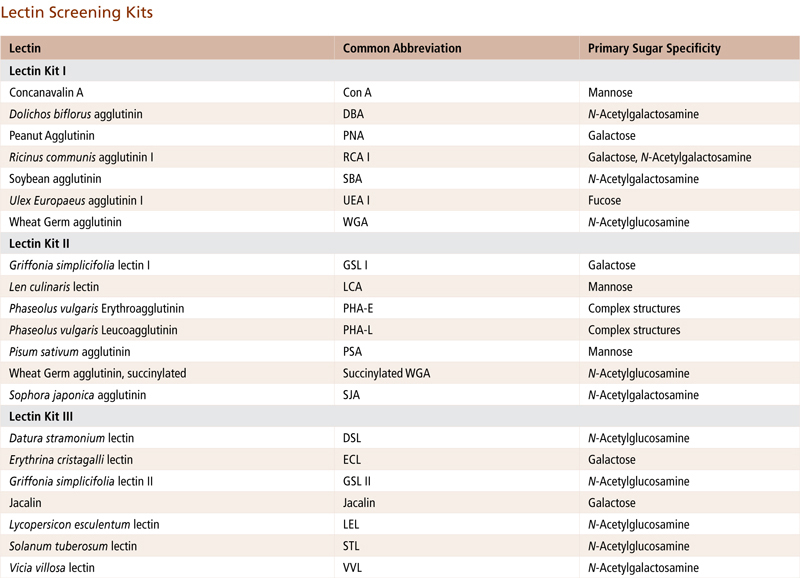 The lectins have been selected to offer a variety of sugar specificities and are of the same high quality as the reagents offered individually. Each Kit III (BK-3000, FLK-4100) consists of 0.5 mg of the following lectin conjugates: DSL, ECL, GSL II, Jacalin, LEL, STL, VVL. 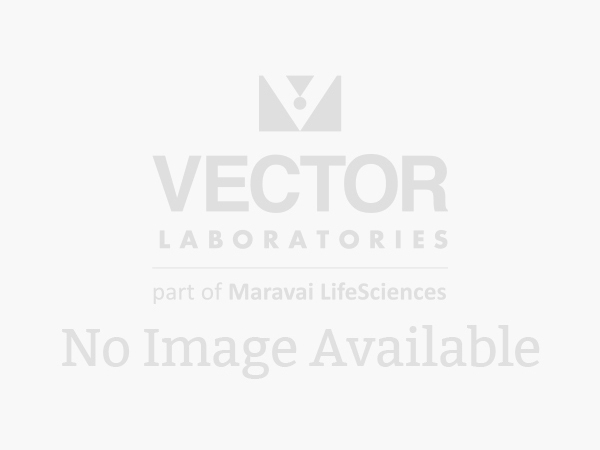 Our fluorescein labeled lectins are produced by using the highest quality fluorescein isothiocyanate, our affinity-purified lectins, and special conjugation procedures. The lectin conjugates have the appropriate number of fluorochromes bound which provide the maximum fluorescence and optimum staining characteristics for each particular lectin. These lectins are supplied essentially free of unconjugated fluorochrome and inactive lectin. Fluorescein labeled lectin has an excitation maximum at 495 nm and an emission maximum at 515 nm. Accompanying each fluorescent lectin kit is an analysis data sheet summarizing the results of our quality control tests and providing pertinent information on the product. All of these reagents are supplied as solutions preserved with sodium azide.